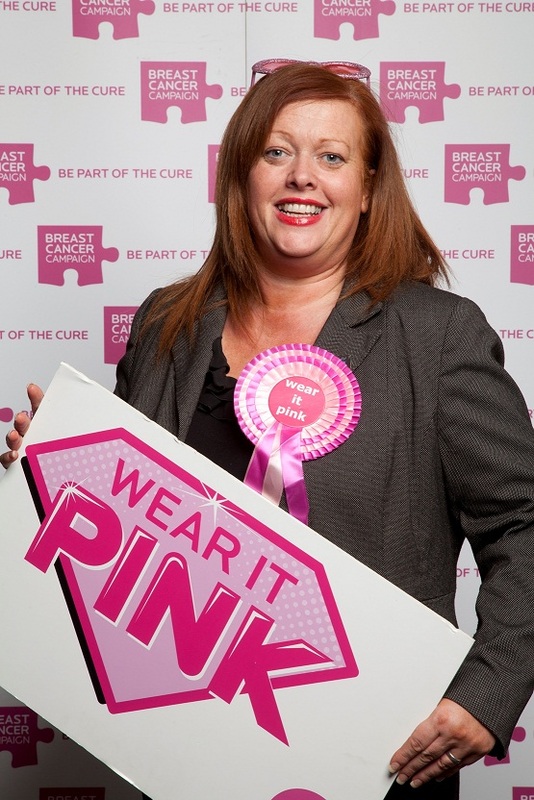 Glasgow MSP Anne McTaggart is proudly supporting Breast Cancer Campaign’s award winning fundraiser, ‘Wear it Pink’ day. ‘Wear it Pink’ is now in its 10th year, and Friday 26th October 2012 will see supporters from across the country in schools, colleges and businesses embracing the event’s new theme, superheroes. The theme stems from the charity’s belief that everybody who joins the fight – from people affected by breast cancer, to Breast Cancer Campaign scientists and all Wear it Pink participants – is a superhero. Breast Cancer Campaign is asking everyone to pull on something pink and donate £2.00, whether it’s a superhero cape, pink socks or pink pants you wear over your tights, you can help the charity achieve its target of raising £2 million, so they can continue to fund ground-breaking research. Join the hundreds of thousands of people who take part in ‘Wear it Pink’ every year. With your help Breast Cancer Campaign can improve survival rates for the one in eight women who experience breast cancer during their lifetime. Anne McTaggart MSP said: “I’m delighted to support Breast Cancer Campaign’s Wear it Pink day on the 26th October. Almost 4,500 women and 25 men are diagnosed with breast cancer every year, and more than 1,000 will die from the disease. To take part in the UK’s original and best pink day visit wearitpink.co.uk and register to receive your free fundraising pack now. Vanish is backing the fight against breast cancer for the third year running by raising an incredible £250,000 for ‘Wear it Pink’. This entry was posted in Uncategorized and tagged wear it pink. Bookmark the permalink.